Energy drives us. It lights up our lives, heats up our homes and powers our imagination. Sourced from the air and the earth. From the sun and the rain. From old reliable sources and new sustainable ones. The energy harnessed at E.ON, however, begins with yours. 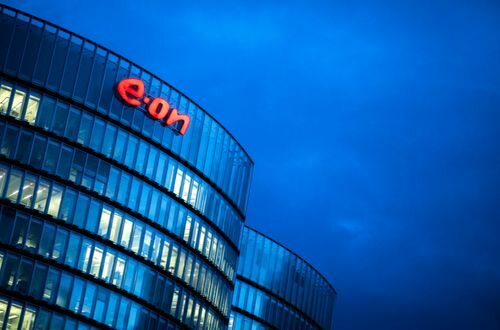 The E.ON situational judgement test presents you with a series of challenging scenarios that one might encounter in the workplace and then a number of possible responses to the scenario. You then chose which one you feel is the best way to describe how you would react. As with the rest of the tests you will be timed and so it is important that you read the information properly and not rush. These tests are designed to measure your numerical abilities and relate to graphs, percentages and tables whereby you will be asked to analyse data and chose from a set of multiple choice answers. These will be timed and so it is important that you practice and are prepared in advance so that you get your timings right. This test comprises of a series of paragraphs which you will be required to read and then answer questions. Your options in the verbal reasoning test will be True, False or Cannot Tell. This test will be assessing your analytical, comprehension, language understanding and grammar skills, amongst others. These are also timed so practicing within a time limit is a good idea. This is like the SJTs and the questions asked are designed to find out how you are suited to the role. You will be given various scenarios and will be asked to rank your answers. The case study exercise is used to test your analytical skills and problem solving abilities. You’ll be presented with information which you will be expected to read and analyse. You will then be produce a presentations on your findings and then answer questions on it afterwards. The group exercise is designed to test your people skills and how you work within a group. You will be required to work within a group to solve a problem or answer a question that is provided by the assessors. You’ll be placed in groups and will be assessed on how you interact. Make sure to find a happy balance between being dominating and passive. The assessors are looking for someone who can contribute but not take over. This will be based on a scenario provided and you will be assessed on your behaviour, your knowledge and the way you handle certain scenarios. It may also be as a group exercise. It will be relating to a type of situation that you would be faced with in the job and you will be required to think quickly. To do well in the role play ensure you have a good background knowledge of the company and its values.